It is 741. After subduing the pagan religions in the east, halting the march of Islam in the west, and conquering the continent for the Merovingian kings, mayor of the palace Charles the Hammer has one final ambition-the throne. Only one thing stands in his way-he is dying. Charles cobbles together a plan to divide the kingdom among his three sons, betroth his daughter to a Lombard prince to secure his southern border, and keep the Church unified behind them through his friend Bishop Boniface. Despite his best efforts, the only thing to reign after Charles's death is chaos. His daughter has no intention of marrying anyone, let alone a Lombard prince. His two eldest sons question the rights of their younger pagan stepbrother, and the Church demands a steep price for their support. Son battles son, Christianity battles paganism, and Charles's daughter flees his court for an enemy's love. 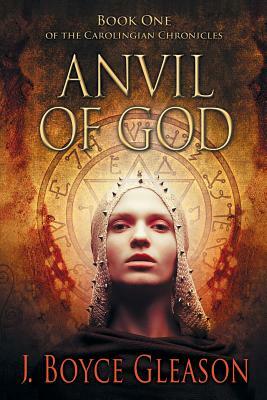 Based on a true story, Anvil of God is a whirlwind of love, honor, sacrifice, and betrayal that follows a bereaved family's relentless quest for power and destiny.